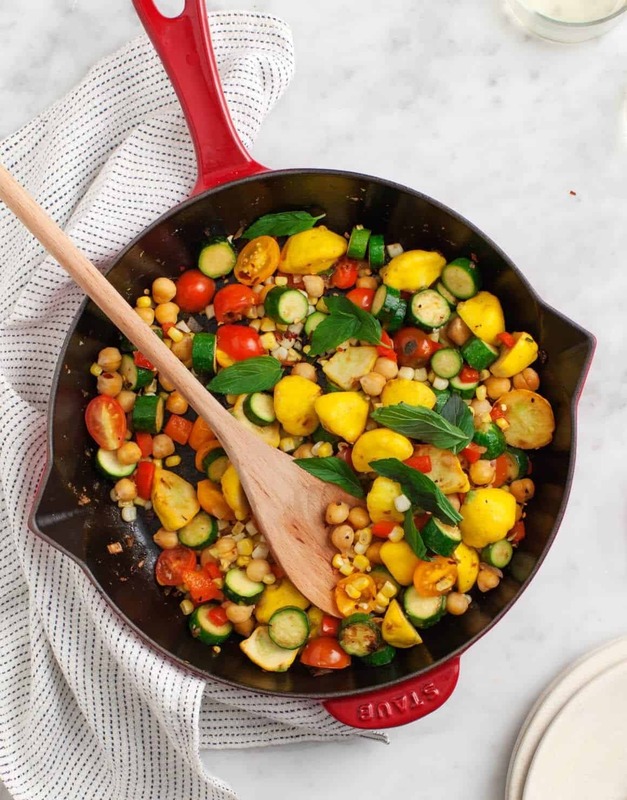 Make a recipe from The Love & Lemons Cookbook to win a set of Staub cast iron cookware! Happy Monday! To celebrate the 3rd week of our cookbook being in the world, I have a really fun giveaway. I absolutely love my Staub cast iron cookware and it’s the best I’ve ever owned so I thought – why not share the love? The pieces are made in France, the quality is amazing, and they look SO beautiful. I’m giving away the 4 cast iron items that you see here in this post. I mean, not literally these, you will get brand new cookware and you can choose whatever colors you want too. 2. Post your photo on Instagram, Twitter and/or Facebook with the hashtag #loveandlemonscookbook between April 11th and April 19th, 2016. Post as many different recipe photos as you like and feel free to cross-post them on each social channel for extra entries – just be sure to use the hashtag so that we can see all of your entries. A winner will be chosen at random. The giveaway is open to U.S. addresses only. Special thanks to Staub for hosting this giveaway! I love your blog and use it often as my go to when I need a great recepie. Oh, it’s on! What a great giveaway, and an even better book! I ordered it immediately after it came out and cannot put it down. Made the Creamy Broccoli Soup tonight—so delightful! The book is gorgeous! I like this blog & great recipe. 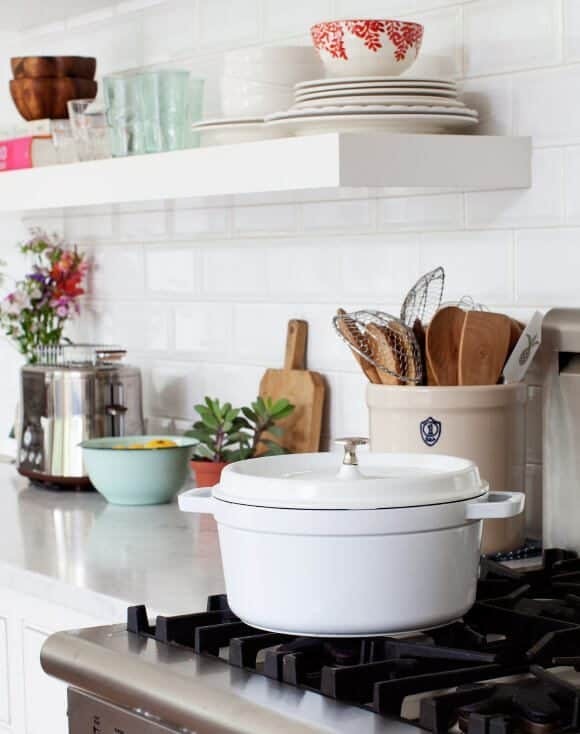 I’m a huge fan of Le Creuset but I’ve heard absolutely great things about Staub. I need to check them out and good luck to all the entries! Your lovely cookbook just arrived and I am curled up with one of your Minty French 75s while reading it. What goodness! Thanks in advance for all the fun I’ll have creating and sharing your recipes. A real gift for my farmhouse kitchen! I’m in love with this cookbook! Just blogged about it too. I made your sweet potato tacos but used red cabbage apple slaw in place of the radish apple slaw. So delicious! Thank you! The contest is now over. I bought this cookbook just cause I love the prize so much! I’ve been eying Staub cook wear for years. It’s so pretty and such high quality. I only had time to make one recipe from your Love and Lemons cookbook, but it was delicious and I can’t wait to make more. I shared a picture of it on Instagram, Facebook, and Twitter. Good luck to everyone! Thank you for hosting this giveaway! I loved cooking brought the cookbook – enjoyed every recipe I made and can’t wait to make more this week. Has the winner be announced? I was flipping through your blog looking for a mushroom veggie burger recipe (which I found, yum!) and came across this post. I’m in the market for some new cook wear and happen to live in the region of France where Staub is made (although I’m a Texas native!) I was thinking about stopping by their store this week– if you have a moment, could you tell me 3 of the products you like the most for a mostly vegetarian/vegan kitchen? My boyfriend is a meat-eater, though, so a product for roasting some meat dishes would be great too! Thank you! Was wondering what brand is the white skillet pictured in your cookbook?